MONDAY, JUNE 18, 2018 SALE TIME: 5:00 P.M. This ranch style house has approximately 1722 sq. ft. of living area that includes 3 bedrooms, living room, dining area, kitchen w/island, 2 bathrooms and main floor laundry room. There master bedroom has access to its own private bathroom with double vanity and large walk-in closet. The kitchen features an island with plenty of cabinet and storage space. There are patio doors just off the kitchen and dining area. All interior surfaces have been primed, textured and painted, with flooring and mechanical to be selected by new buyer. 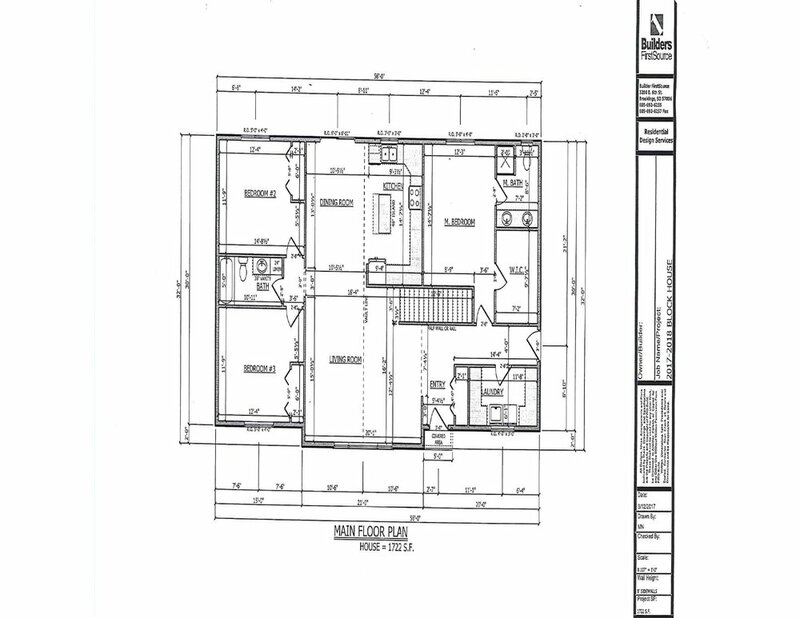 This house has been constructed by the students at Brookings High School and features a well thought out floor plan with over 1,700 sq. ft. of living area, the house dimensions are approximately 56’x32’. For a showing, additional information or building specifications, please contact the Auctioneers or Todd (605-692-6255),or check out our website at www.burlagepeterson.com. Terms: 10% down day of sale. Balance due July 18, 2018. House to be moved by August 18, 2018. Buyer will pay sales tax and all moving costs. The house is sold on as “as is” basis with any warranties on items installed in the house being between the purchaser and Builders First Source.